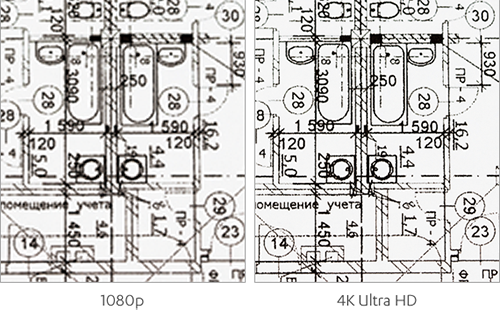 Small letters and numbers as well as drawings and design images are displayed in the finest detail. 4K Ultra HD image quality provides accurate, high-precision projection that enhances the persuasiveness of any presentation. With 4K UHD images projected on a 95 to 200-inch screen are clearly visible, whether viewed from close up or from far away. 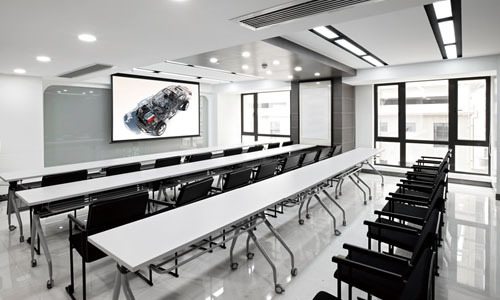 Large-screen projection results in high-impact presentations and 4K UHD resolution delivers the crystal clear projection of small letters, small numbers, and images on the bigger screens commonly used in large conference rooms and halls.